The Howling Rat seems perfect for me. Don't own one but I know the size hits a sweet spot. 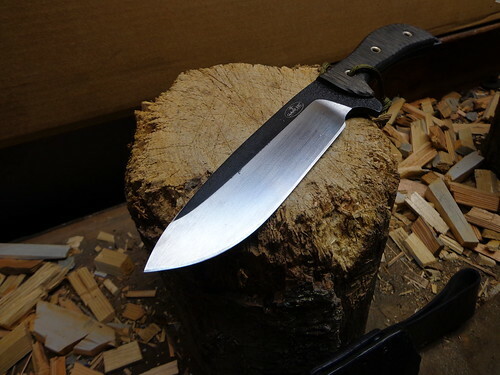 I think people get to stuck on INFI, I personally think the DHT SR101 Chopweiler blows ever single 7-8 inch Busse ever made smooth out of the water. While INFI is a great product (don't really think at this point anyone can argue it) I think the Swamp wins hands down in knife design and ergos. BITEME and cut it out like this. I agree. Even "through hardened" SR-101 is a clear winner for tasks like dressing game. SR-101 performs like a high alloy/high wear resistance steel, and it's a very low alloy while INFI, a high alloy performs closer to 1095, while still somewhat superior. And at the same time SR-101 can take a beating like no other. My name is Dwayne Puckett and I endorse this statement! I'd put my Rat Mastiff up against any Battle Mistress, oh right, I have! I still have and use that Mastiff. Can I get the Swamp to make me an ASH1 ..??? While INFI is a great product (don't really think at this point anyone can argue it) I think the Swamp wins hands down in knife design and ergos. I own only one Busse, a HogMuk, and that's because the Swamp hasn't released their own version as of my typing this. I like that INFI offers the toughness (or better) of SR101 with extra corrosion resistance... but not at such increased cost and reduced ergos. I would love to own an INFI RMD, but I've never been disappointed in my SR101. I was going to say about the same exact thing!! 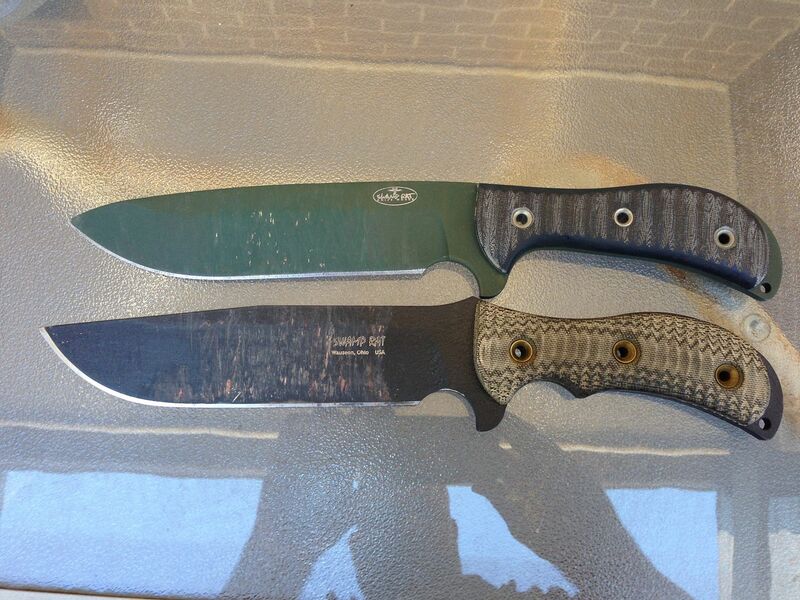 Perfect swamp rat knife?? Here it is! There isnt a single Busse id trade my Chopweiler for... Unless i knew for sure i could find 2 more chopweilers for sale... Then id trade for a silent knight, butaniku, or MOAB and sell the Busse for 2 more chopweilers and have one for show and one for go and money to blow on the go!! RMD has to be in this conversation. Ergos are spot on, does just about everything well except chop. Have you ever held a Ratweiler in your hand? Have you ever used her like she was made for? I've held, owned and used both. The Chopweiler is a great knife...but the original Ratweiler is hands down, the best of the best. Heck, even the Busse boys give her due. Your post is completely personal preference. And where are the pics??? To answer your question. No. But i prefer drop points to clips, and i prefer the handle on the choppy to every other handle i ever held for camp knives. But the chopweiler and the Ratweiler are very very similar. Some prefer the choppy and some prefer the ratweiler. Both are great blades. When you start comparing them two its completely personal preference. 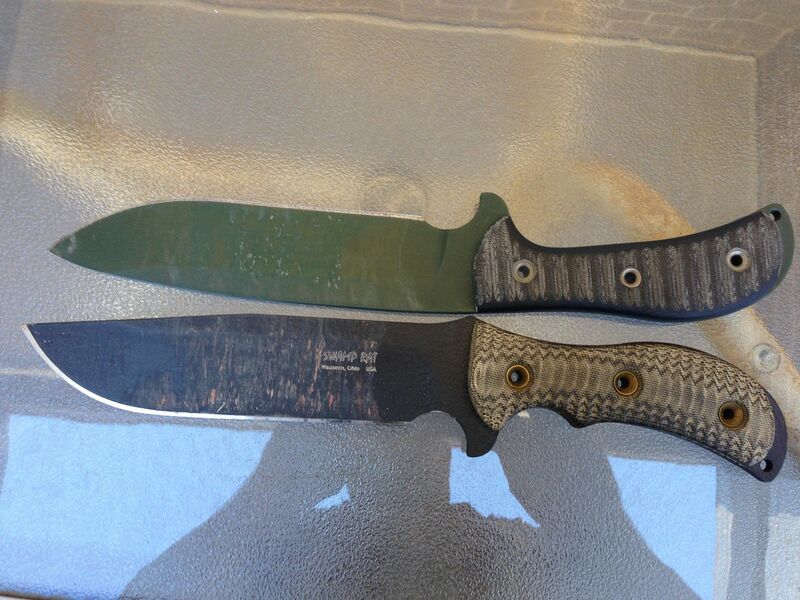 Both are DHT, same steel, about same size..... Just which handle works for you and which blade profile you prefer. As far as using knives how they were made to be used??? ALL my knives are used hard! If i dont use it i dont keep it. More debate! This conversation is too peaceful. We need some Rat- vs Chop- videos! Please do get one and review it Chiral!! Your reviews are always so excellent id love to see and hear what you think!! I seen one on the exchange recently that is probably still there... But at the price they costs these days i dont blame anyone for not being able to jump on them. They are worth the price even now IMO, but 300+ is a lot of money for me as well. If someone sends me a user ratweiler and id be more than willing to do a video comparison. I recently did a couple video reviews for the choppy and Busse hell razor, but i didnt do much hard chopping because the knife was not mine and looked brand new when i got it. We need to get Ian in here WW, I would bet my bottom dollar he owns both and has beat the crap out of them too so he would be able to give a good honest thought. 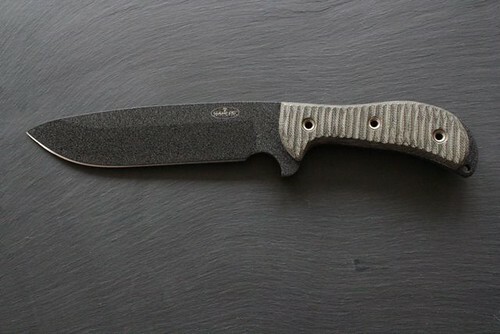 You also need to stop showing off that reground Choppy some of us are getting knife envy. And hey man there are worse envies to have!! Im down to the least amount of knives i have had in 2 years. But i learned quality far exceeds quantity!! I'll throw a wrench in there and say Camp Tramp for the WIN! I have or had all three and used all three, Several Camp Tramps, Three Ratwielers, and one Chopwieler. I have one of each now. I too prefer drop point knives for users, Hard to say which I use most often, my SHe gets a ton of abuse and so does the aforementioned Mastiff, the CT has plenty of battle scars. The Camp Tramp is going to be tough to beat! It packs well and feels superb in the mit while being strong enough for most of us mere mortals. Camp tramp is a nice looking blade no doubt. I just much more prefer micarta on my users over Res-c.
Not a big fan of res-c personally... Thats just another personal preference though. If there was one right answer for everyone there would be way less of a variety out there. Battle Rat...!!!! Or they should make me my .25 ASH1 in SR101..! !